Homey, frame-constructed, log-sided, and carpeted, Spruce Cabin #1 features two upstairs bedrooms with skylights. One bedroom has two double beds; the other, one double. Double futon in living room for extra sleeping space. 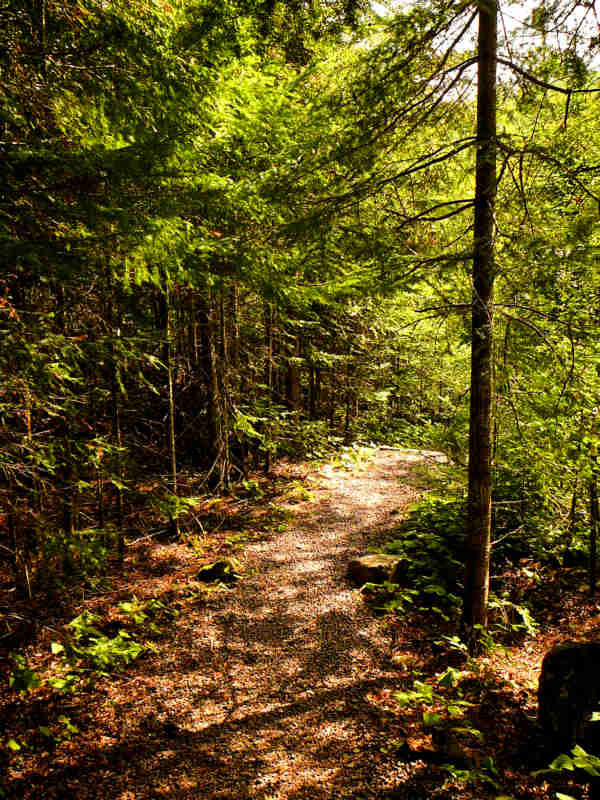 Many well-placed windows offer wooded views, and a spacious screened porch overlooks the lake. Rates based on double occupancy all year. Capacity: 6 people. 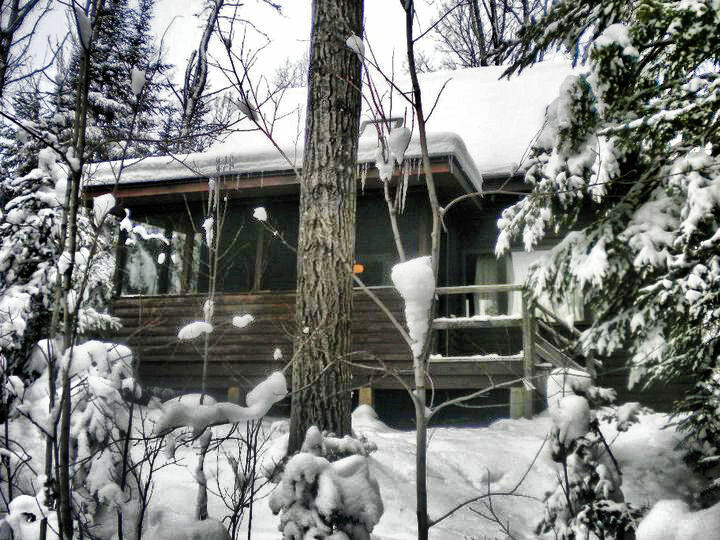 Spruce Cabin #1 is located at the west end of the resort. It’s a quiet location, with exceptionally good bird-watching. The large screen porch at the front of the cabin is a pleasant, relaxing spot to spend time in spring, summer, and fall. 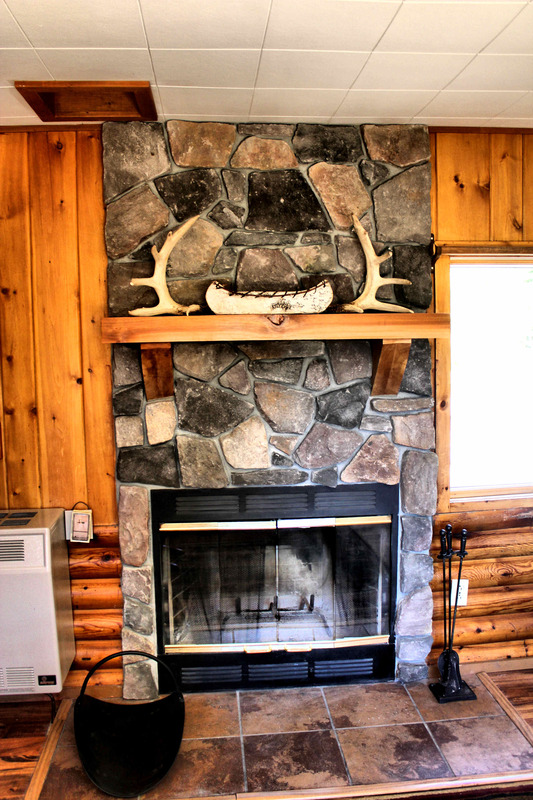 The cabin no longer has the woodstove shown in the floor plan, but has a stonework fireplace. The two upstairs bedrooms in this cabin run together. 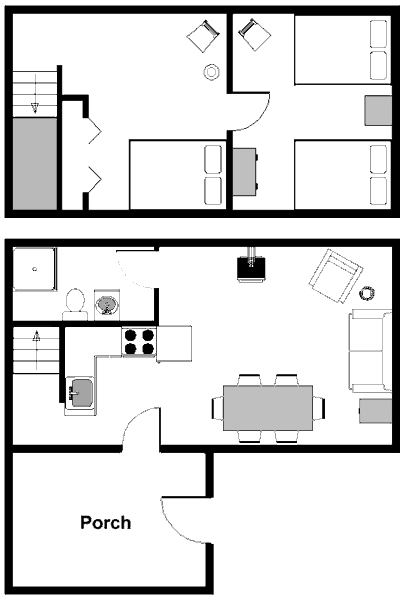 Many families like this floor plan, as it keeps parents in close proximity to children while still providing some privacy. In spite of the odd bedroom configuration, ever since the new fireplace was installed Cabin 1 has become one of our guests’ favorite cabins. 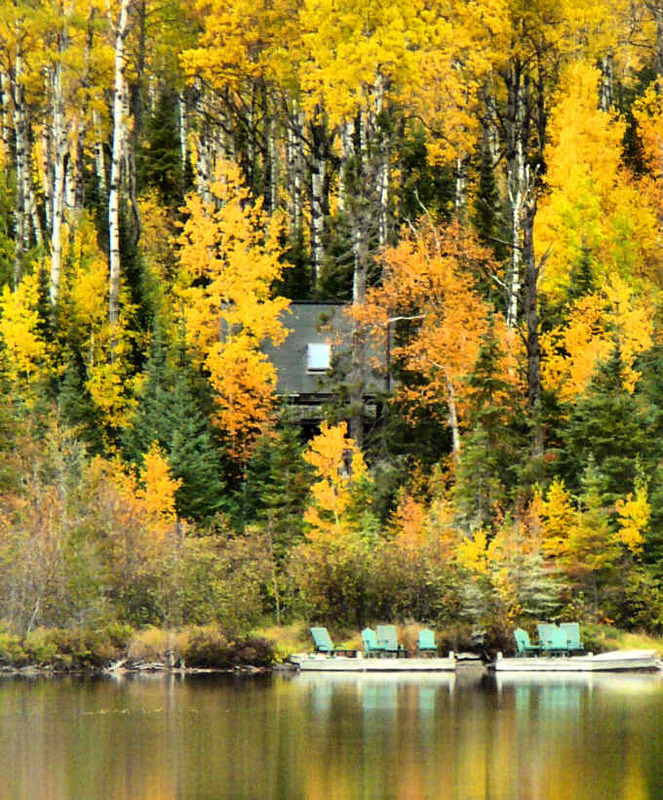 It has the amenities featured in some of the high end cabins, on a smaller scare and at a lower price. Plus, it’s just so cute.